"Singularity is almost invariably a clue. The more featureless and commonplace a crime is, the more difficult it is to bring it home." Over the past week, I made several attempts at sprinting to the concluding chapters of Willy Corsari's De weddenschap van Inspecteur Lund (Inspector Lund Makes a Bet, 1941), in which the titular policeman has to tell several stories from his own experience that are as interesting as a detective story, but I kept stumbling before finally deciding to abandon it altogether – which is as rare a occasion as a solar eclipse. It was not a bad book as a poor book, which is arguably worst because a bad book can still be readable (hey, we all have our guilty pleasures in this genre) while a poor book has nothing to offer except dull mediocrity. Though the book was obviously meant as a send-up of her British and American contemporaries, it completely failed to capture their spirit, plotting technique or ingenuity. Take, for example, the second story, "Sporen in de sneeuw" ("Tracks in the Snow"), in which a broken leg and the story of an elderly woman of a long forgotten, unsolved and impossible murder turns Lund into an armchair detective, but the solution was pedestrian and listless. This left me, of course, with the problem of what I was going to do once I decided to put this book aside. I had a deficiency of time to read to begin with and this place hadn't seen an update for nearly a week, so I needed a nimble read in order to put something up here before the end of the weekend and that sounded like a perfect excuse to revisit the man who introduced me to the detective story: the late Appie Baantjer. The fact that this is also my 200th blog post is nothing more than a lucky timed coincidence. 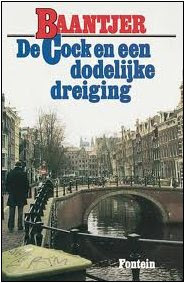 The book I excavated from my congested shelves was Een dodelijke dreiging (1988; translated as DeKok and the Deadly Warning), which also happened to be one of the first detective novels I touched and vividly remember that delightful feeling of surprise when I learned its solution, but, in my defense, I was new to the game back then. So how did the book stand-up to being read after all these years? Well, it's definitely a worthwhile read in spite of one notable flaw. Een dodelijke dreiging takes place between the darksome, cold, but often cozy, days between Sinterklaas (St. Nicholas) and Christmas, and DeKok cynically asks himself if the peaceful holiday ahead of them has any influence on the influx of baffling crimes in December. DeKok's ruminations appear to be answered in the affirmative when the body of a man, clad in shirtsleeves and a vest, is found slumped against the bark of a tree on the Keizersgracht (Emperor's Canal). His head is turned towards the water and three bullet holes tore holes in his chest. The name that belongs to the stiff is Emile van den Aerdenburg, a designer, who, earlier in the day, came to Vledder with a threatening letter – asking in an almost illegible handwriting how much his life was worth to him and to place an ad with that amount in the newspaper mentioned in the note. A journalist, attached to that newspaper, has been receiving similar scribbles and narrowly survived an attempt on his life as ex-wives, silent partners, estranged wives, white-collar crime, newly-wed wives and blackmail bob up and down in this case without taking the old veteran bloodhound off his game. Throughout the book, DeKok's reasoning is logical and sound as is the characterization of the man himself and the murderer is a perfect foil to the good inspector. A very memorable and even a sympathetic character, who was exposed to the reader in a very unconventional manner. Well, for this series anyway. No theatrical denouements or a cleverly set-up trap, but DeKok reading a poem by Guido Gezelle – encapsulating the basic truth of the case. Deliberately understated and very effective. 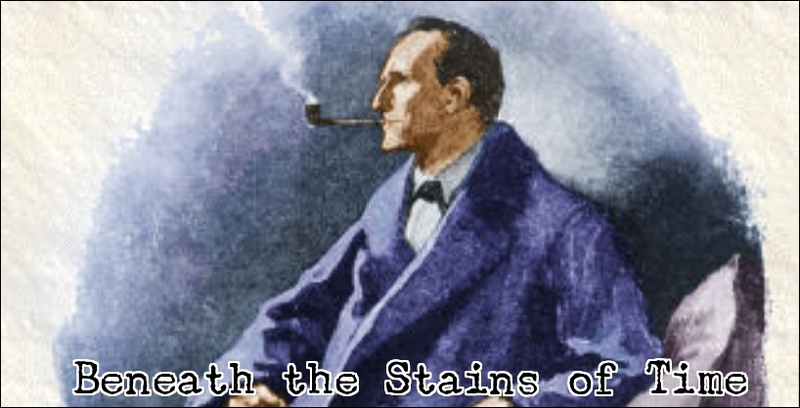 Also the aftermath of this murder case was done very well and you can't help but feel that the murderer should've gotten away with it, where it not for a third and unnecessary murder, clumsily disguised as a suicide, which was the only thing that weighed on the murderer's concience and provides the book with a tragic ending. Unfortunately, there's one blemish concerning the motive, which was not fairly clued at all and made it impossible to anticipate the full solution – and that's what robbed this book of its status as a minor classic. Even the rose-tinted glasses of nostalgia could not turn that into an easily ignored blind spot, but, aside from that one complaint, this is still one of my favorite entries in the DeKok and Vledder series and definitely worth picking up if you can get your hands on the translation. On a side note, I'm compiling a new list of favorite mysteries because the last one I posted left me dissatisfied (i.e. too many glaring omissions).